December 4, 2016 — The Claiming Crown celebrated its 18th renewal on December 3 at Gulfstream Park, and just like a young adult, the event for the sport’s blue-collar horses seems to have reached maturity after debuting in 1999 at Canterbury Park in Minnesota. Hosted for the fifth time at the South Florida track, the $1.1 million event set an all-time handle record of $11,115,864 with perfect weather conditions, continuing the trend of increased wagering every year at Gulfstream while becoming an increasingly important fixture on the national racing schedule. A joint venture between the National HBPA and Thoroughbred Owners and Breeders Association, the Claiming Crown has reached new heights over the past five years thanks in large part to the efforts of the Florida HBPA and Gulfstream Park in making it the signature event to kick off the Championship Meet at the Hallandale Beach oval. 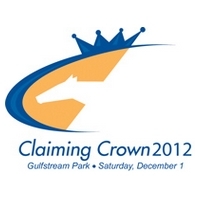 Earlier this year, it was announced that Gulfstream will host the Claiming Crown through at least 2018. This marked the first Claiming Crown since the passing of NHBPA First Vice President Tom Metzen Sr., one of the founding fathers of the event. The richest race on the card, the $190,000 Claiming Crown Jewel won by Royal Posse for the second consecutive year, was presented as the Tom Metzen Sr. Memorial in the track program. One of the constants in recent years has been the participation—and winning—of owners Kenneth and Sarah Ramsey and trainer Mike Maker. The all-time leading Claiming Crown owners and trainer added another victory to their tally, as they teamed to win the final race on the card, the Emerald, with Keystoneforvictory to run their total to 15 wins apiece. 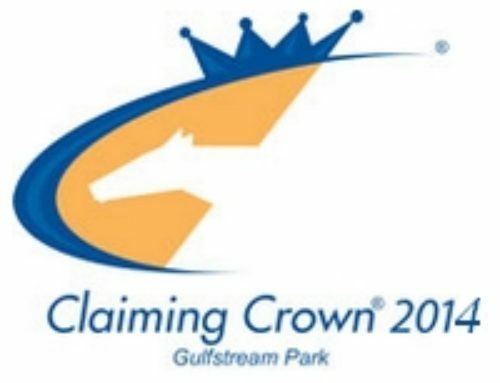 This year also marked an expansion of the races leading up to the Claiming Crown as three tracks—Kentucky Downs, Laurel Park and Gulfstream Park West (formerly Calder Race Course)—held preview races with the winners earning free entry and transportation expenses to the main event. The Claiming Crown races were run under starter allowance conditions for horses who had started for a specified claiming price since January 1, 2015, save for the Express and Iron Horse, which were open to horses who started at the $8,000 level or below anytime in their careers. With nine races on dirt and turf at a variety of distances and for both sexes, there was an option for virtually any kind of racehorse. 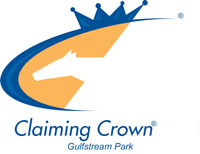 The first of the Claiming Crown races, the $106,700 Distaff Dash for fillies and mares who had started for $25,000 or less, featured a Claiming Crown Preview Day winner putting on an encore performance for the big money as Spectacular Me followed her Laurel Park victory with another at Gulfstream. Ridden by Jose Ortiz for trainer Steve Klesaris and owner Winning Move Stable, the 6-year-old daughter of Catienus came from off the pace to win by 1 ¾ lengths in a time of :56.91 for five furlongs on the turf. Ortiz had ridden the mare to victory twice last summer at Saratoga Race Course in turf sprints, but this marked his first trip aboard her in more than a year. 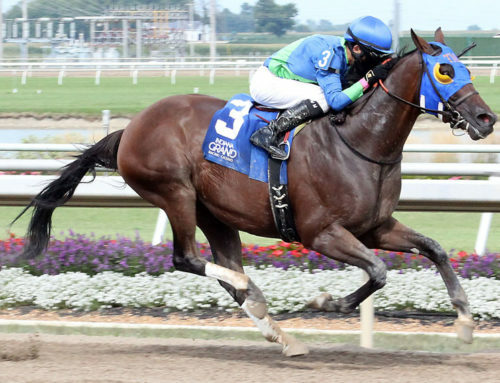 Bred by the University of Kentucky in the Bluegrass State, the 9-5 favorite easily towered over the field in terms of starts, wins and earnings, and she extended that margin by picking up her 15th career victory from 47 starts. Her bankroll now stands at $471,234. Not bad for a horse who originally sold for just $1,600 as a yearling. Steven Bertrando and Paul Trapani’s My Sister Caro, a West Virginia-bred daughter of Bop trained by Clyde Martin, had the lead in the stretch and held on to finish a game second. Lady Coventry, running for Zoom and Fish Stable Inc. and trainer Ralph Nicks, rallied late to take third. Monster Racing Stables’ Shaft of Light came into the $105,600 Rapid Transit with a history of winning races by open lengths, and the 5-year-old gelding continued that tradition with an impressive 6 ¾-length score in the seven-furlong contest for horses who had started for $16,000 or less. Jockey Emisael Jaramillo hustled the Ontario-bred to the lead right out of the gate, and the Jorge Navarro-trained runner cruised home with a final clocking of 1:21.84 as the 7-5 betting choice. The gelding was bred by Sam-Son Farm, the storied Canadian operation that has bred and raced notable horses like Dance Smartly, Sky Classic and Smart Strike, the sire of the Rapid Transit winner. 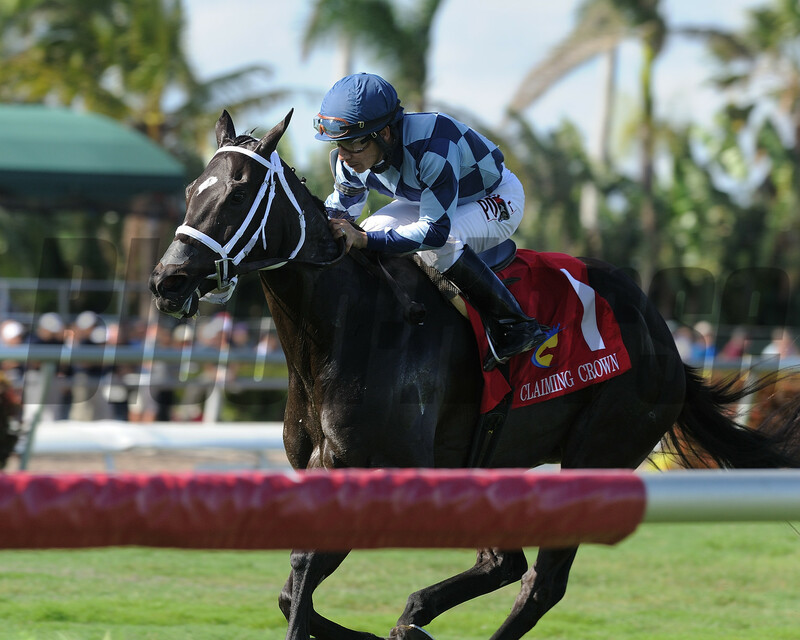 Shaft of Light began his career in his native country but really didn’t flourish until this spring in South Florida, where he won a conditioned $12,500 claimer by 9 ¼ lengths and a $16,000 optional claimer by 11 ½ at Gulfstream. This win improved his record to 15-6-2-2 with earnings of $211,280. Flashy Jewel, who was claimed out of his last start for $25,000 by owner/trainer Eddie Kenneally, nearly earned back that purchase price with a second-place effort. Patrick Maguire’s Day of Fury, a Street Sense gelding conditioned by David Fawkes who was claimed in five consecutive starts this year, crossed the wire third. The biggest upset on the Claiming Crown card came in the $110,000 Glass Slipper for fillies and mares who had started for $12,500 or less when Tormenta de Oro prevailed by a neck at odds of 44-1. Owner/trainer Patrick Marcondes claimed the Benny the Bull filly for just $6,250 in August at Gulfstream and earned a return of $60,500—nearly 10 times her claiming price—for the victory at one-mile timed in 1:38.53 under jockey Luca Panici. This was easily the biggest career win for Marcondes, who moved to the United States with his family from Brazil in 1995 and interrupted his racing career to study for a civil engineering degree at Barry University near Miami. He always wanted to train Thoroughbreds, but in his first year as a trainer in 2015, he failed to find the winner’s circle in 15 starts. His record improved in 2016, but he entered the Claiming Crown with just five career wins from 65 starts. Bred in the Sunshine State by the University of Florida Foundation, Tormenta de Oro has won seven of 33 starts with earnings of $145,345. Esken Lady, who was also taken for $6,250 over the summer at Gulfstream, just missed out on the victory for trainer Saffie Joseph Jr. and owner Drawing Away Stable. Roger Moore’s Amaluna, trained by Aubrey Maragh, came from far back to take third. Trainer Jorge Navarro, jockey Emisael Jaramillo and owner Monster Racing Stables scored a Claiming Crown double as Defer Heaven captured the $108,900 Express exactly one hour after those connections teamed to win the Rapid Transit with Shaft of Light. This was another decisive win with a favorite, as Defer Heaven defeated by 1 ¾ lengths a field of horses who had started for $8,000 or less in their lifetimes. The Defer gelding covered six furlongs in 1:09.77. 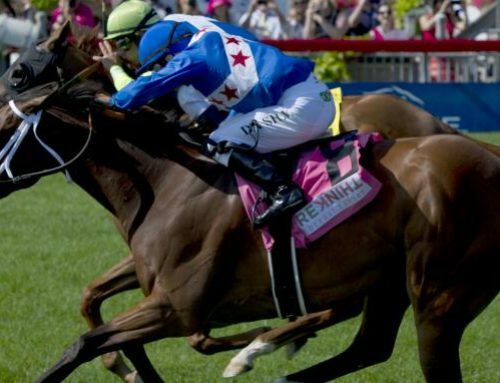 Bred in Kentucky by Kenneth and Sarah Ramsey, the 6-year-old gelding won for the eighth time in 11 starts on the year while racing at Gulfstream, Monmouth Park, Delaware Park and Parx Racing. Defer Heaven was claimed for $16,000 at Keeneland Race Course in his last start of 2015, and he banked $195,690 in 2016 alone. While the gelding seems to win everywhere he goes, Gulfstream might be his favorite after picking up his sixth win there in seven trips to the post. All told, he has won 19 of 35 starts with earnings of $324,678. Proper Freud, who came in off consecutive victories at Parx Racing and Laurel Park, grabbed second for trainer and owner David Jacobson. Bersalu Farm Inc.’s Express Jet, who was a maiden until this past July and had won two of his last three starts, rallied to finish third. The $110,000 Iron Horse lived up to its name as the two favorites, Chepstow and Goodtimehadbyall, with a combined 20 career wins, battled almost right from the start of the 1 1/16-mile contest for horses who had started for $8,000 or less at any time. At the wire, Chepstow and rider Edgard Zayas prevailed by a half-length in a time of 1:43.90. 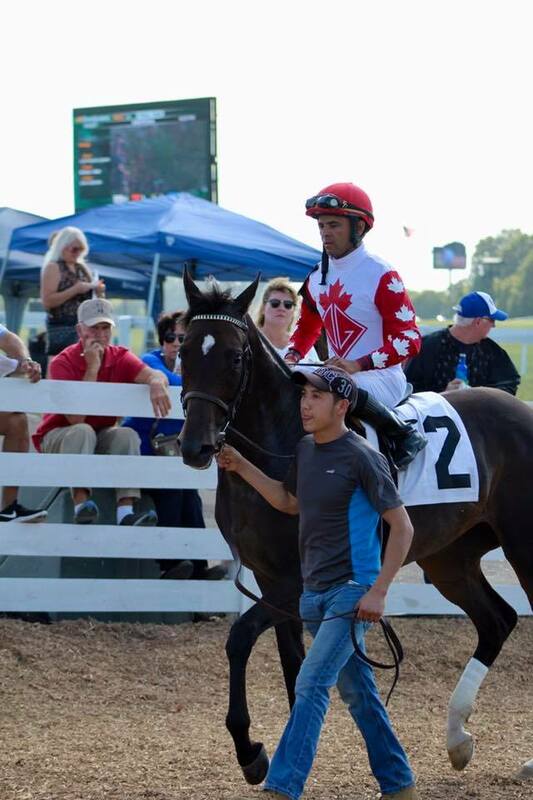 Chepstow, who was bred by Eugene Melnyk and becomes the second Ontario-bred winner in this year’ s Claiming Crown, improved his lifetime bankroll to $205,284 with his eighth career win from 34 starts. 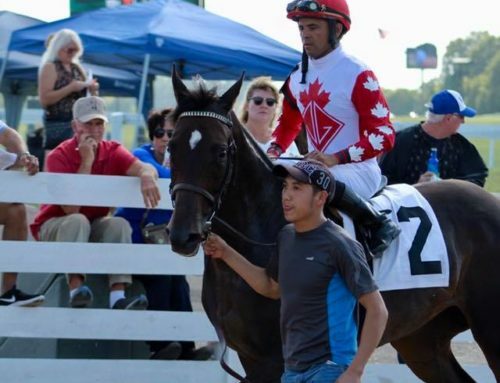 He started his career at Woodbine in Canada but has raced exclusively in South Florida since the end of 2013. The gelding raced well mostly in sprints through the end of last year, but running exclusively in two-turn events this year he has had even greater success with four wins, a second and two thirds from nine starts. Goodtimehadbyall, an earner of nearly $600,000 trained by Jorge Navarro and owned by Ten Strike Racing, finished a clear second after coming in off a victory at Monmouth Park. GTG Racing LLC and Intuition Racing’s Chiseled, trained by Fernando Abreu, got third. Six years after his sire Super Saver won the Kentucky Derby (G1), Super Spender rallied to win a race that could not be any different than the 1 ¼-mile classic on the Churchill Downs dirt. The $107,800 Canterbury for horses that had run for a tag of $25,000 or less was over in just :56.54 when Super Spender and jockey Nik Juarez hit the wire a neck in front after running five furlongs on the turf at odds of 5-1. 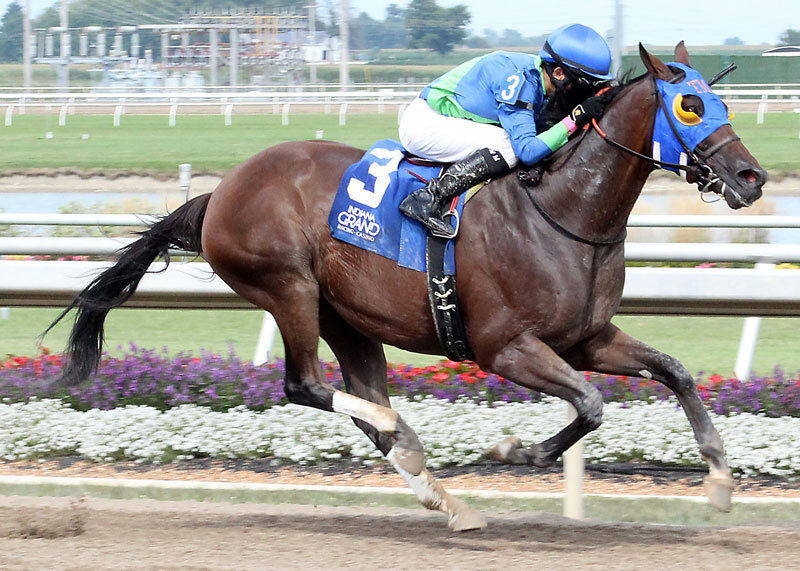 Super Spender, a $30,000 Keeneland September yearling bred by Three Lyons Racing LLC, has won six of 11 starts at five furlongs on the turf but is just one-for-nine in other situations. That still ads up to a solid record of 20-7-3-1 with earnings of $218,320. 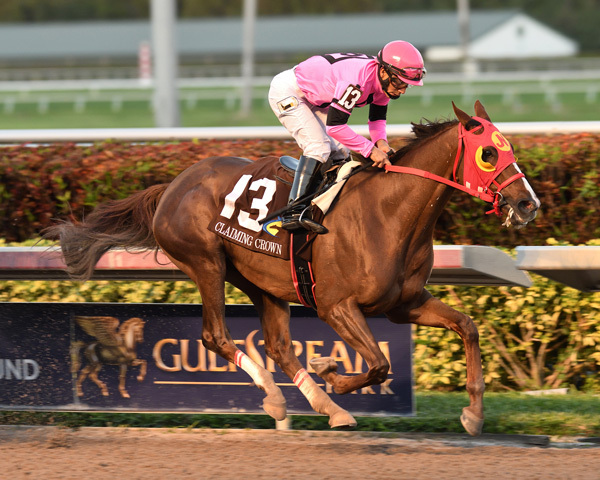 His most recent victory before the Canterbury came on Claiming Crown Preview Day at Gulfstream Park West, making him one of three horses to win a preview race and come back to win the big money. Kenneth and Sarah Ramsey’s Partly Mocha, from the Mike Maker barn, rallied from the back of the pack to run second as the 5-2 favorite. Divine Warrior, owned by Carl Hurst and trainer William “Buff” Bradley, took the show position. The $125,000 Tiara at 1 1/16 miles on the grass for fillies and mares who had started for $25,000 or less had a distinct international flavor as a horse bred in Great Britain that broke her maiden in Italy ended up in the winner’s circle. 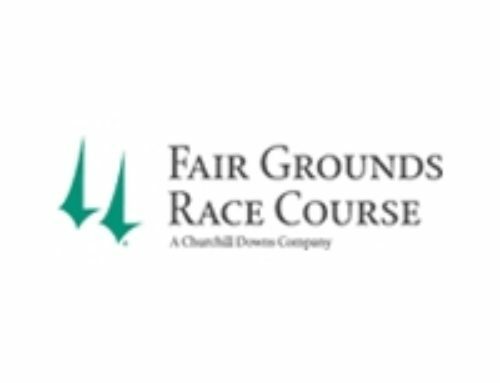 Farfellow Farm Ltd.’s Marabea, trained by Maryland-based Lacey Gaudet, closed with a rush to win by a neck at odds of 6-1 with Jose Lezcano aboard. Gaudet’s first Gulfstream victory was even sweeter as she shared it with her sister Gabby, the on-air host for the Maryland Jockey Club who was also making her Gulfstream debut as an on-air host for the Championship meet. Although Marabea, who was bred by Charley Knoll Partnership, showed promise as a 2-year-old with two easy wins and a Group 3 placing in Italy, she went out of form in the United States and dropped to the $25,000 claiming level this summer at Saratoga. 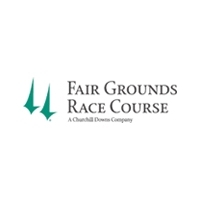 But the 4-year-old found her form again at Laurel Park, where on November 6 she won a Claiming Crown Preview race for her first win in more than a year. William Cubbedge’s Lobelia, conditioned by Carlo Vaccarezza, hit the board for the eighth time in 10 starts with a runner-up finish. Seeking Treasure, owned by Steven Frum and trained by Doug Matthews, finished third. 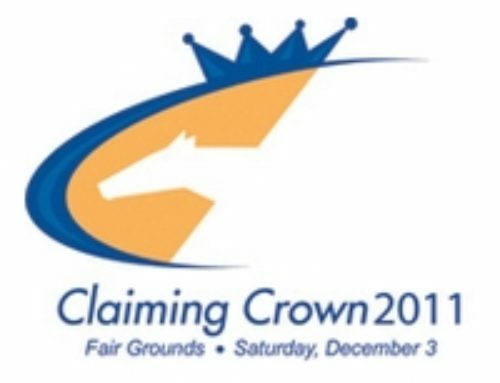 Trainer Mike Maker and owners Kenneth and Sarah Ramsey have made no secret of the fact that they are constantly on the lookout for potential Claiming Crown horses, and 14 times prior to the $125,000 Emerald they ended up in the winner’s circle with a Claiming Crown winner. But Keystoneforvictory was a little different in that he wasn’t a horse that the powerful connections claimed or one that was bred by the Ramseys, who are Eclipse Award winners as Outstanding Breeders and Owners. Instead, their 15th Claiming Crown win came via a $25,000 Keeneland September yearling sale purchase who subsequently ran for that same price in a Gulfstream maiden claiming race in January. 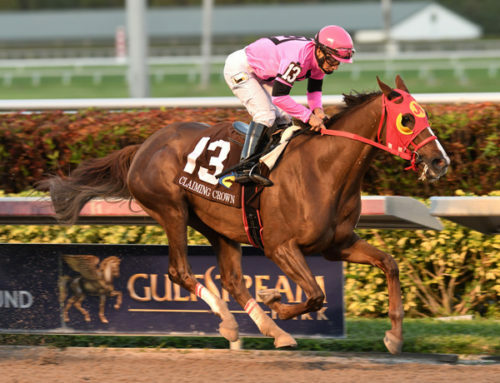 The 3-year-old colt by Shakespeare, who was bred in Kentucky by Dell Ridge Farm LLC, quickly developed into a stakes horse after that maiden win and took the $75,000 Forty Niner Stakes at Gulfstream in June. The Emerald, run at 1 1/16 miles on the turf for horses who had started for $25,000 or less, included the added challenge for Keystoneforvictory of facing older horses for the first time, but the colt passed the test with a neck victory as the tepid 3-1 favorite under Jose Ortiz. 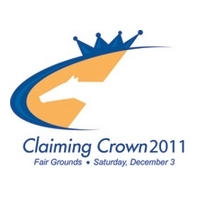 The Ramseys and Maker have won at least one Claiming Crown race every year since 2008, except for 2011 and last year. Bruce McCrea’s Flashy Chelsey, a Churchill Downs invader trained by Robert O’Connor II, surged to take second at odds of 23-1. Another horse coming from Churchill, Market Outlook, finished third for owner Hot Scot Stable and trainer Gary Contessa. 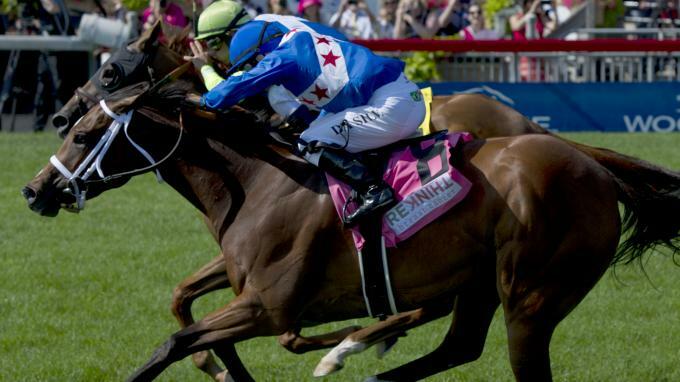 The words “claiming horse” and “millionaire” normally do not go together, unless you are talking about Royal Posse, who won the $190,000 Jewel for the second consecutive year and pushed his bankroll into seven-figure territory. Of course, it could be argued that the New York-bred son of Posse is not the same horse taken for $20,000 out of a May 2015 race at Belmont Park, and he’s unlikely to see the claiming ranks again anytime soon. Since being claimed, the gelding has turned into a bonafide star with a total of six stakes wins, including three straight coming into this renewal of the Claiming Crown. He benefited from his status as a New York-bred, with four of those six stakes wins coming against state-bred foes, headlined by the $300,000 Empire Classic Handicap at Belmont. After the Rudy Rodriguez trainee crossed the finish line a half-length in front at Gulfstream as the 7-10 favorite in the Jewel, his earnings stood at $1,011,245 with a record of 34-11-10-0. He covered 1 1/8 miles in 1:49.84 under Luis Saez. Racing’s newest millionaire was bred by Richard Troncone and Richard Troncone Jr. The outcome of the Jewel, however, looked far from certain on the far turn as the favorite still had plenty of work to do from fifth place. A three-peat in the Jewel is highly improbable for Royal Posse, as he would have to be entered again for a tag of $35,000 or less to become eligible to defend his title. 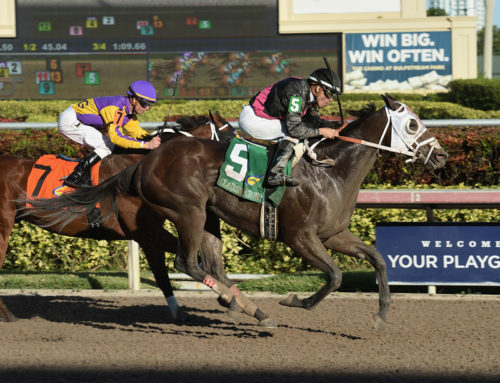 Diamond Bachelor, a two-time stakes winner on the Gulfstream turf for Diamond 100 Racing Club LLC, Robert Trussell and co-owner/trainer Patrick Biacone, put in a valiant effort but came up just short of pulling off a 38-1 upset. John Jones, a winner of four straight races including a Claiming Crown Preview race at Laurel Park, took third for owner Matthew Schera and trainer Lacey Gaudet.